When will be De Maliebaanmonologen next episode air date? Is De Maliebaanmonologen renewed or cancelled? Where to countdown De Maliebaanmonologen air dates? Is De Maliebaanmonologen worth watching? Six actors will replay the lives of heroes and villains who lived on the Maliebaan in Utrecht during the second world war. Anton Mussert and Archbishop De Jong are amongst those characters. Feldmeijer was the founder and foreman of the Dutch SS located on Maliebaan 66. He was the biggest rival of NSB leader Mussert as he wanted to replace him and follow a more radical plan. He was a skilled orator, but his lack of tact and his drinking problem blocked him from such career. Feldmeijer died in early '45 on his way to the battlefield when he was hit by an allied shrapnel. Elzas was a Jewish businessman that used to live in an appartment on Maliebaan 92. He was vice-chairman of the Jewish council in Utrecht and tried his best to bribe an agent to release Jews who were arrested. He managed to succeed sometimes. Tellegen was a former top official of the town Utrecht, which dismissed herself when a NSB Mayor was appointed. She became part of the resistance and was known as 'Dokter Max'. She lived on Maliebaan 72bis and was the neighbour of the Sicherheitspolizei. She organised the financial support of thousands of railway strikers in the autumn of 1944. After the war she became the director of the office of the Queen. Mussert's headquarters were located on Maliebaan 35. He was the leader of the National Social Movement (NSB). his sought were to become Minister-President of the Netherlands in a great German empire, but never succeeded. After the liberation of the Netherlands he was interned and killed by fire squad in may 1946 due to treason. De Maliebaanmonologen next episode air date provides TVMaze for you.  EpisoDate.com is your TV show guide to Countdown De Maliebaanmonologen Episode Air Dates and to stay in touch with De Maliebaanmonologen next episode Air Date and your others favorite TV Shows. Add the shows you like to a "Watchlist" and let the site take it from there.